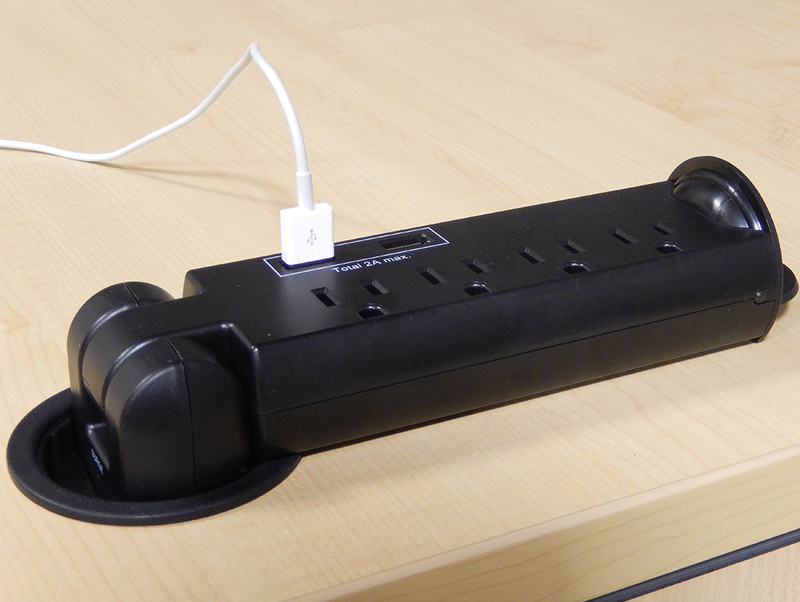 Easy to set-up, easy to rearrange, easy to flip and store. 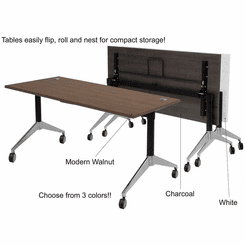 Our IN STOCK modular flip top conference tables are an ideal solution for your ever changing meeting and conference room needs. Add on as needed or use only the tables necessary for the particular occasion. Choose from a variety of in stock sizes and colors. 60" x 132" Modular Flip Top Conference Table sold above. See additional sizes below. Table is comprised of four individual 66"W x 30"D tables. 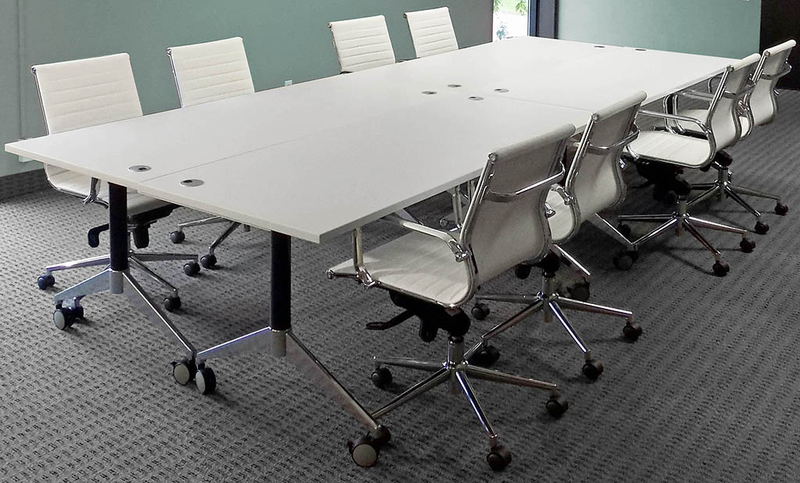 Each seats two users for a total of eight users plus additional space at table ends for especially busy meetings. Ships unassembled. Shipping weight is 320 lbs. PRICE INCLUDES SHIPPING! (Truck shipment - See Terms & Conditions). IN STOCK! 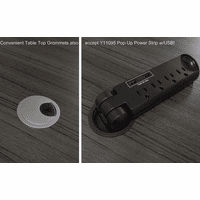 * Two grommets in each individual table top. Table is comprised of six individual 66"W x 30"D deep tables. 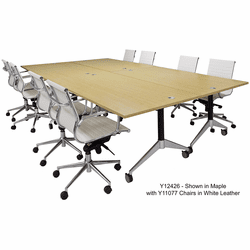 Each seats two users for a total of twelve users plus additional space at table ends for especially busy meetings. Ships unassembled. Shipping weight is 480 lbs. PRICE INCLUDES SHIPPING! (Truck shipment - See Terms & Conditions). IN STOCK! 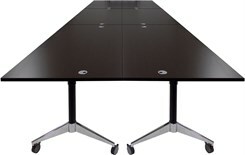 Table is comprised of four individual 72"W x 28"D tables. 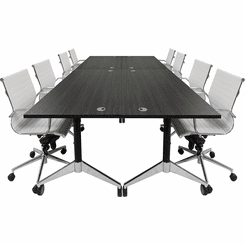 Each seats two users for a total of eight users plus additional space at table ends for especially busy meetings. Ships unassembled. Shipping weight is 320 lbs. PRICE INCLUDES SHIPPING! (Truck shipment - See Terms & Conditions). IN STOCK! 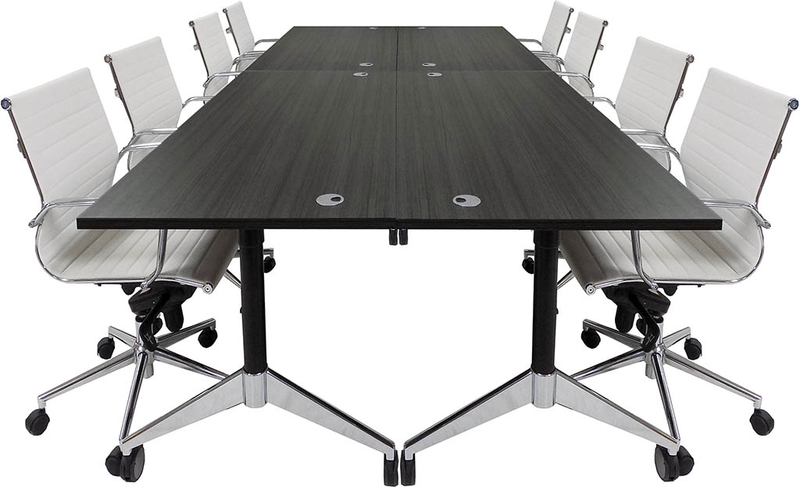 Table is comprised of six individual 72"W x 28"D tables. 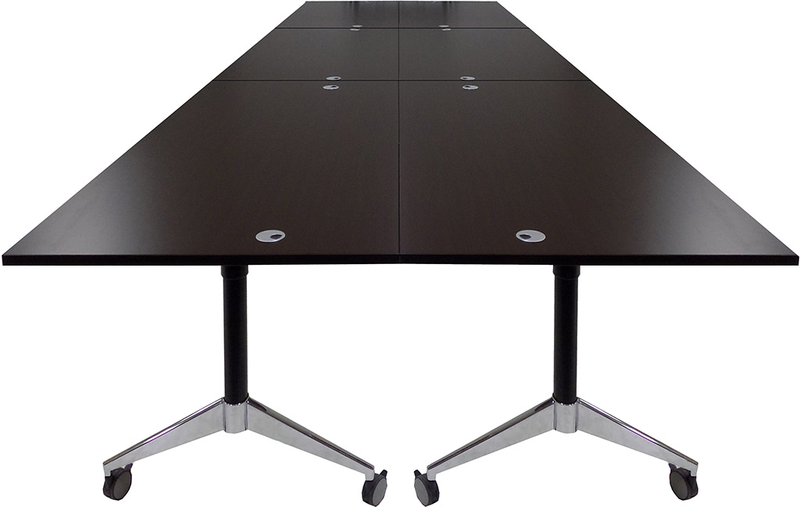 Each seats two users for a total of twelve users plus additional space at table ends for especially busy meetings. Ships unassembled. Shipping weight is 480 lbs. PRICE INCLUDES SHIPPING! (Truck shipment - See Terms & Conditions). IN STOCK! 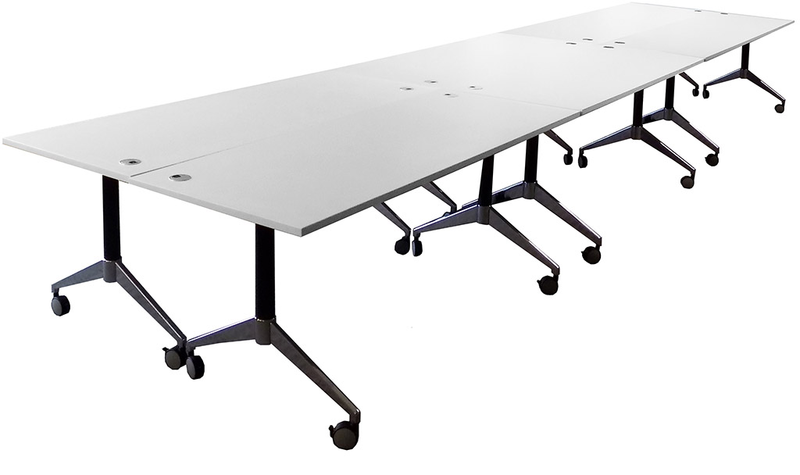 Table is comprised of four individual 72"W x 36"D tables. 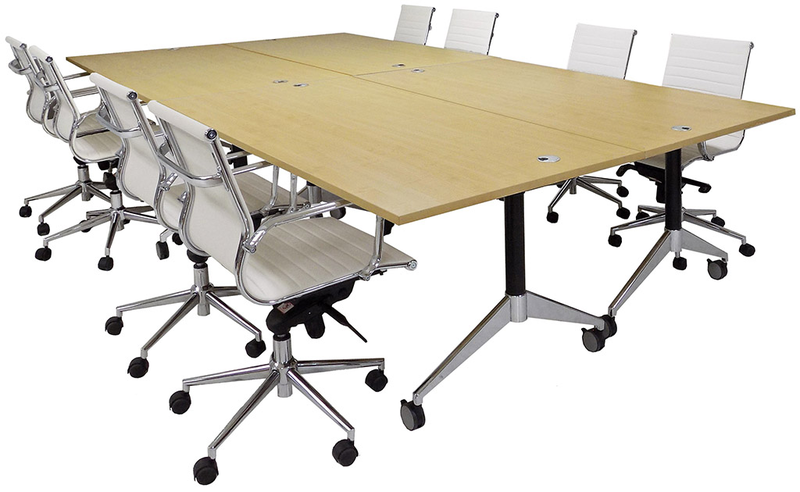 Each seats two users for a total of eight users plus additional space at table ends for especially busy meetings. Ships unassembled. Shipping weight is 360 lbs. PRICE INCLUDES SHIPPING! (Truck shipment - See Terms & Conditions). IN STOCK! 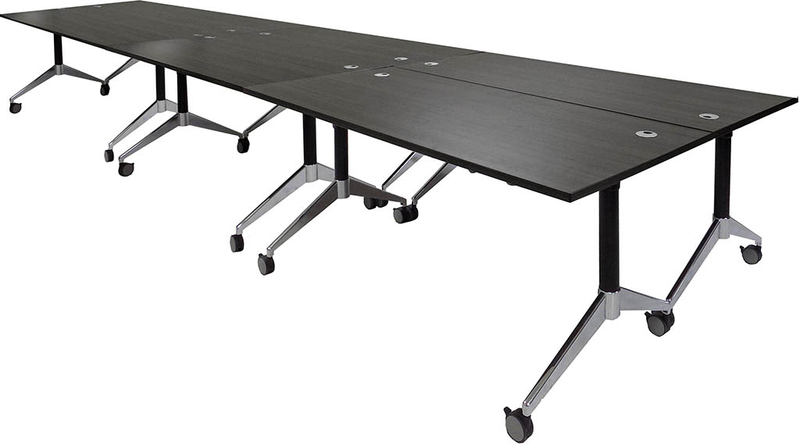 Table is comprised of six individual 72"W x 36"D tables. Each seats two users for a total of twelve users plus additional space at table ends for especially busy meetings. Ships unassembled. Shipping weight is 540 lbs. PRICE INCLUDES SHIPPING! (Truck shipment - See Terms & Conditions). 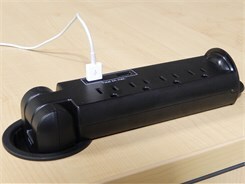 IN STOCK!